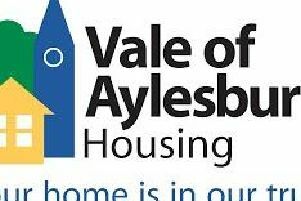 An Aylesbury care home hosted a writing competition with pupils from Buckingham Park Church of England Primary School, and the winner was Adam Dury, 8. Children joined residents of neighbouring Buckingham Lodge care home on Wednesday, February 3 after submitting stories and poems relating to their grandparents for a creative writing competition. The 12 winners visited the home to share their work with the residents, parents and staff and received prizes from the competition judge, Jessica Puttick, local co-author and illustrator of The Princess Stories series. “The overall winner was Adam Dury. His story was about his adventures with his granddad Brian, who sounds a bit of a character. Adam relayed lovely stories of his granddad after the prize giving. Adam received a £10 voucher; he thinks he will spend that on Lego. Along with the other winners, Adam also received a copy of one of Jessica’s lovely books; we were very grateful to Jessica for giving her time and books for this competition. For more information on Buckingham Lodge care home, please call 01296 718600 or visit www.anchor.org.uk.